Home » Can You Make Money In Binary Options? How Do Brokers Make Their Money? Many people seem to claim that if you are smart and if you do your research then you can really make money in binary options. I have always disputed this claim but it appears that many people still don’t seem to understand the realities of this business. One of the main arguments against the idea that binary options are a legitimate form of trading is the method how binary options brokers are making money. In this article I will show you brokers are making money, which then will prove that the game is greatly rigged against traders. Companies that offer binary options trading services make their money when you lose. If you invest in a stock and then your prediction does not come true, the broker will simply keep all the money that you have lost. In other words, brokers are directly interested in you losing. Every dollar you lose goes directly to the broker. If you would be a winning trader, then it will be the broker that will actually lose money. Considering that most binary options brokers are not regulated what makes you think that brokers don’t employ a series of strategies to deceive you, so you end up losing your deposits. There are various methods that brokers use to make you lose your money. The first and most widespread one is persuasion (which in my view is outright manipulation). In this case an “account manager” will approach you and tell you that he has inside knowledge of a trade that will take place soon and if you don’t make an investment now you will lose out on massive profits. The “account manager” will convince you to invest small amounts such as $50 or $100, which then you will almost always win. After this, the “account manager” will say that since you are on a winning streak it would be a pity to just limit yourself to such small trades. He or she (more other than not a “he”) will then tell you to make a substantial deposit such as $1,000 or more and then invest all that money on the trade he recommends. The trader being blinded by the previous success (which might have actually been faked by the broker) will then trust the “account manager” and comply. After all this is done, surprisingly (or maybe not surprisingly) the big $1,000+ investment made by the trader will turn out to be a loser, completely wiping the trader’s account balance. The “account manager” might at this point claim that it was just “bad luck” or simply stop responding to the trader’s emails, as his job (scamming the trader) was already done. A very good example of this practice can be followed up here: http://www.binaryoptionsedge.com/index.php?/topic/174-banc-de-binary-cheaters-and-blood-suckers/. The reason people fall for this trick is that they do not understand how these companies make money. Like I said above, brokers make money by you losing. Knowing this, why would then a broker send an account manager that supposedly is on your side and wants you to win? That makes no sense at all. Most often that not this signal software is completely rubbish. There might be some apps out there that do work but it’s always not the ones that were developed by the brokers themselves. 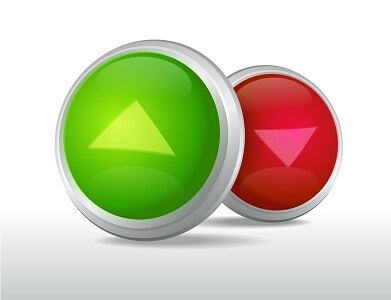 Several binary brokers have in the recent past decided to offer signals to their traders. Traders not understanding how brokers make money will then trust these signals and make investments based on them. Like in the previous case, initially these signals will result in successful trades, enticing the trader to increase the investment amount. When this happens, the signals will suddenly and “unexpectedly” fail to deliver any results. Again, why would a broker offer a tool for traders that will help them win? – It makes no sense once you understand that brokers only make money if you lose. So, Everything Is A Big Scam? Unfortunately, most of the time, yes. The only legit binary options are being offered by companies that are regulated and licensed in various reputable countries. This means USA, UK and Western Europe. Unfortunately, there are only a very small number of brokers that have such regulations. Regulated or unregulated, if you want to trade binary options, it all comes down to you having to understand how all this works. If you don’t even understand how these companies make their money and how the game is “rigged” against you, you should perhaps stay away from this form of trading.